Working collaboratively, we and others have developed a historical, material theory of social practice that integrates the study of persons, local practice, and long-term historically institutionalized struggles. 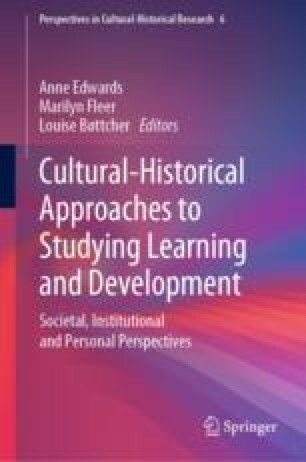 We have drawn on the work of Vygotsky, Bakhtin, and Mead to develop this approach to “history-in-person”. Social Practice Theory, like Cultural-Historical Activity Theory (CHAT) takes activity as a central focus. But, in contrast to CHAT, social practice theory emphasizes the historical production of persons in practice, and pays particular attention to differences among participants, and to the ongoing struggles that develop across activities around those differences. Through Holland’s ethnographic work on environmental groups in the Southeastern United States, we show the integration of emotion, motivation, and agency into cultural-historical activity theory by means of Vygotskian and Bakhtinian inspired ideas concerning “history-in-person”. Lave’s research focuses on tension, conflict and difference in participation in cultural activities in an old port wine merchant community in Porto, and looks to both local and trans-local institutional arrangements and practices for explanations. This chapter first appeared as an article in Actio: An International Journal of Human Activity Theory No. 2 2009 pp. 1–15 Copyright © The Center for Human Activity Theory, Kansai University. The editors are grateful to the editors of the journal.